Black Friday can be a great way to save some cash on your holiday wish list but if you are going to brave the crowds, some things definitely give you more bang for your buck. If any of these 5 things are on your holiday wish list (or you will need them at some point in the near future), you will probably want to head out with the masses to some of your favorite stores. The savings on TVs on Black Friday can be amazing, especially if you manage to snag one of the door busters. Keep an eye out for unadvertised deals. They are often just as good, if not better, than the doorbusters. Do your research before hand so you already have an idea what you are looking for. Often you’ll have to make a split second decision on purchases and you won’t be able to have a lot of time to chat with the salespeople if you have any questions. Computers and laptops are one of the most commonly discounted items on Black Friday so you can get some great deals. If anyone on your holiday list needs a new computer (or you are going to need to replace one anytime soon). Best Buy is usually where we head to for any computer purchases. 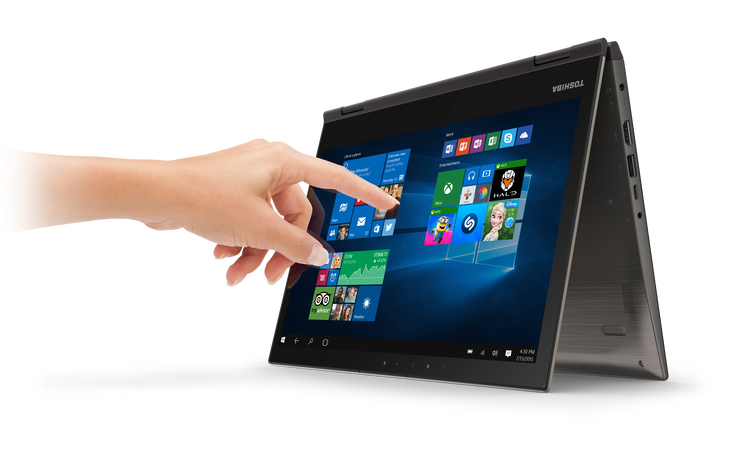 They always have a great selection, including the new Satellite Radius 12 by Toshiba with it’s flexible 2-in-1 design and fast mobile performance. 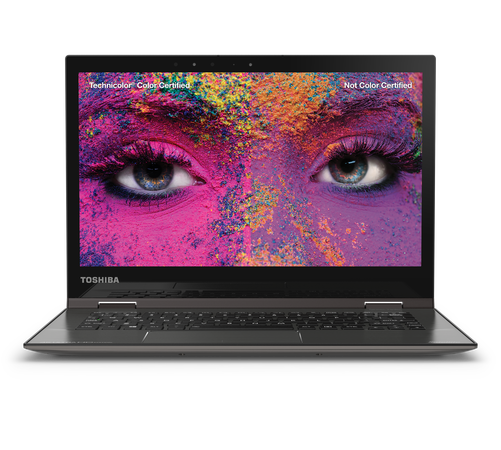 It is the world’s first 12.5-inch convertible laptop with a 4K Ultra HD display and would be a huge hit with anyone on your holiday shopping list. I love that it is designed with color accuracy in mind. The Technicolor-certified wide gamut RGB display supports 100% Adobe® RGB color space reproduction. I can tell you as a content creator, color accuracy can be hard to find so that’s a great feature. Small appliance deals are everywhere on Black Friday and stores will often give them away for practically nothing just to get you in the door. Think beyond Christmas here. If you have an older appliance that may go out during the year, grab a replacement so you don’t have to buy one at full price. I always try and grab one or two extras to have on hand for wedding gifts. It saves me time an money later in the year. Toy sales are everywhere on Black Friday but some are definitely better than others. The hot toys of the season are often on sale but quantities may be limited so get there early if you have something particular in line. Board games are sold for practically nothing and make great holiday gifts. Many stores sell movies for $5 or less on Black Friday. If you need stocking stuffers or small gifts, this is a great way to go. You can often find old classics mixed in with newer movies and they are fun to have on hand for family movie nights. Do you shop on Black Friday? What items do you like to buy?